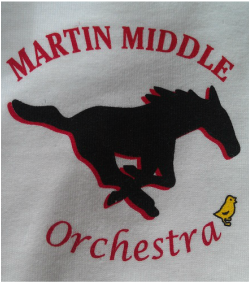 Welcome to the Martin GT Magnet Middle School Orchestra/ Strings taught by Mrs. Anita Hynus. 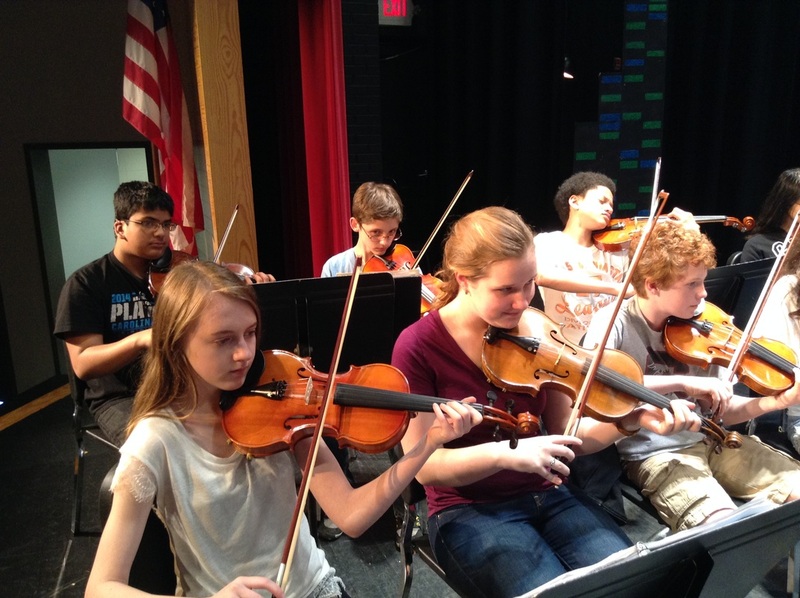 We are comprised of Beginning, Intermediate, Advanced, and Honors Orchestra students (grades 6-8). We also offer Beginning Guitar classes (for grades 7 and 8). Our groups have performed in the community as well as at Walt Disney World and alongside the North Carolina Symphony. 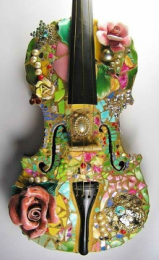 "All children are capable of learning to play a stringed instrument, regardless of talent, giftedness, or musical background." Beginning Guitar students learn the basics of acoustic guitar playing, music reading, and chords. Students have participated in Pieces of Gold, Ovations with the NC Symphony, Disney World Concerts, as well as on Broadway. Mrs. Anita Hynus is celebrating her 22th year of teaching music in the Wake County Public School System with a total of 38 years teaching. She graduated with a B.A & M.A. in Music Education from Marshall University in Huntington, WV. Mrs. Hynus is presently teaching Strings at Martin GT Magnet Middle School in Raleigh, NC. She has a wide variety of teaching experiences in music education and is accomplished in the field of Literacy in the Arts. An energetic, dedicated teacher leader who is well respected by her colleagues and was a finalist for the Maxine Swalin Award for Outstanding Music Educator. Her students create and perform a wide range of music, complete interdisciplinary projects, and integrate literacy strategies in their daily music instruction. Her students frequently perform in Ovations for the NC Symphony and the Wake 2016 SBO Magazine 50 Teachers Who Make A Difference Pieces of Gold performances. They have travelled to Disney World and to New York City in recent years. In 2015, Mrs. Hynus received the Maxine Swaline Award as the Outstanding Music Educator in North Carolina and the Yale Music Educator Symposium Distinguished Music Educator Recipient. In 2016, Mrs. Hynus was chosen to represent the state of North Carolina as the SBO (School Band and Orchestra Magazine) as one of the top 50 Teacher Who Make A Difference. Mrs. Hynus, also, is highly involved with Scouts, community music groups and the recycling program and National Junior Honor Society.